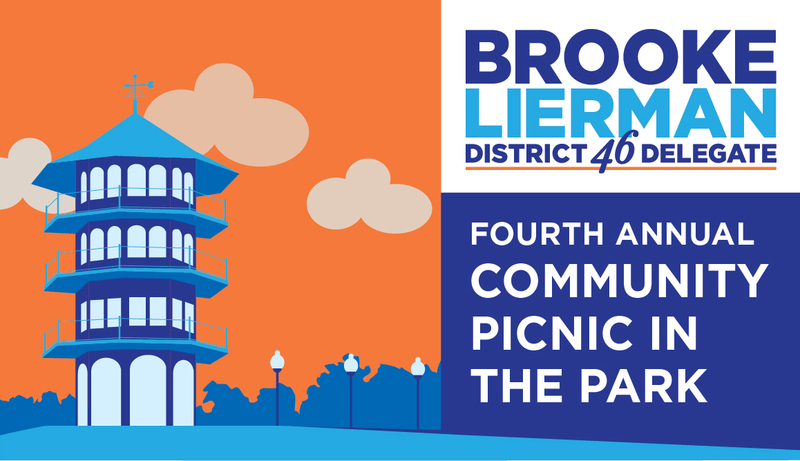 Join Brooke, Team 46, City Council members, federal elected officials - and hundreds of neighbors - for Brooke's annual Community Picnic in the Park! Enjoy free bbq, Miss Twist ice cream, face painting. and more while visiting with your elected officials and numerous non-profits. Brooke Lierman for Delegate does not seek contributions from state registered lobbyists. If you are self-employed, please list the name of the entity that is on your paycheck. Please list your line of work. "Business Person" is not acceptable, please enter the type of business instead. This event is free to all, but any contribution is welcome! Thank you!